Introducing the latest creation from Ludwig Oechslin – annual calendar brass! 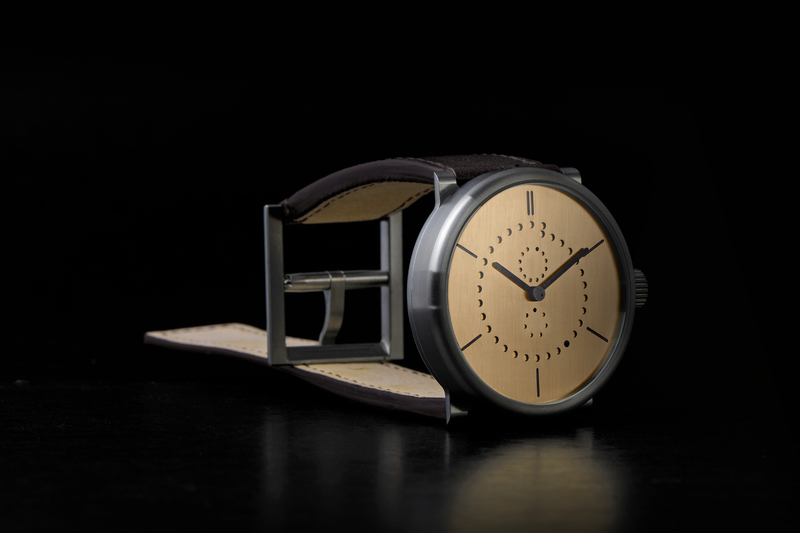 With no added color and a 100% metal dial, annual calendar brass is as functionally minimalist outside as it is inside. 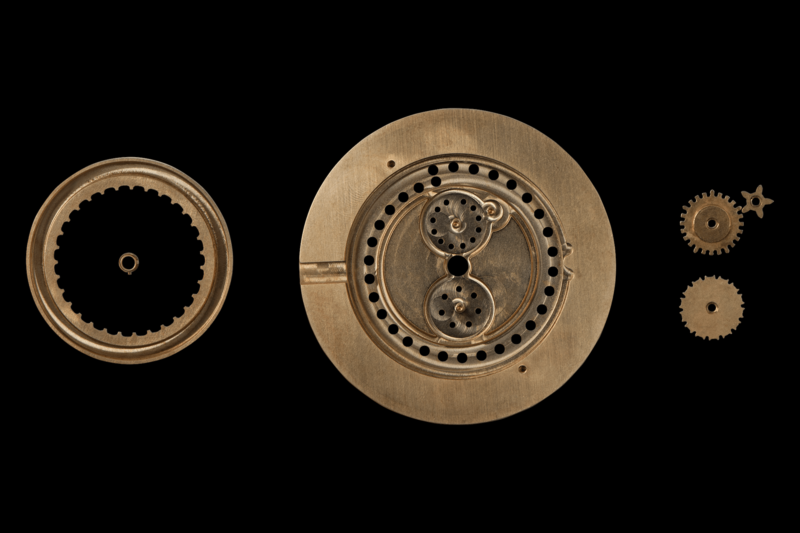 Every dial element (including the hands) is formed from single material, brass, just like in Ludwig Oechslin’s prototypes. Optimal contrast is achieved through patination. Inside is the world’s most minimalist annual calendar function – Ludwig Oechslin requires just 3 specially-designed moving parts to create an annual calendar which requires adjustment only once per year. A typical annual calendar function uses up to 40 parts. 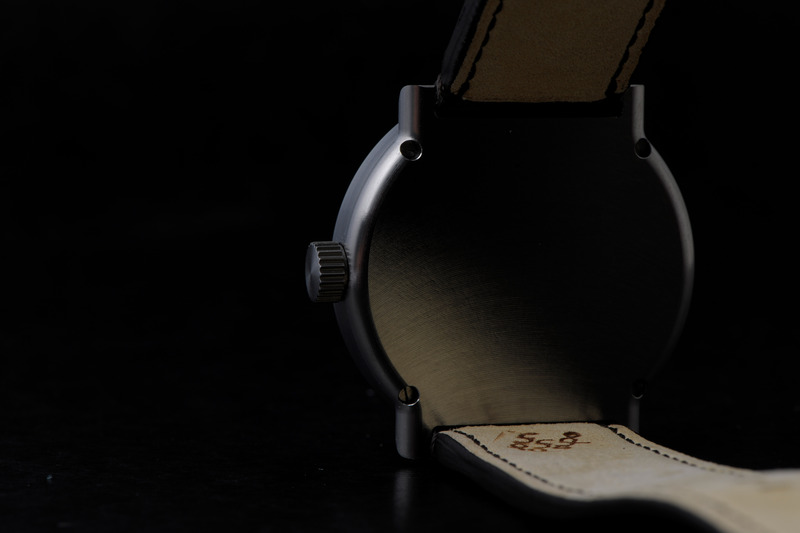 The milled indices, month, date, and weekday dots are patinated with an antique art sculpture restoration solution. The same process is applied to the hour and minute hands. 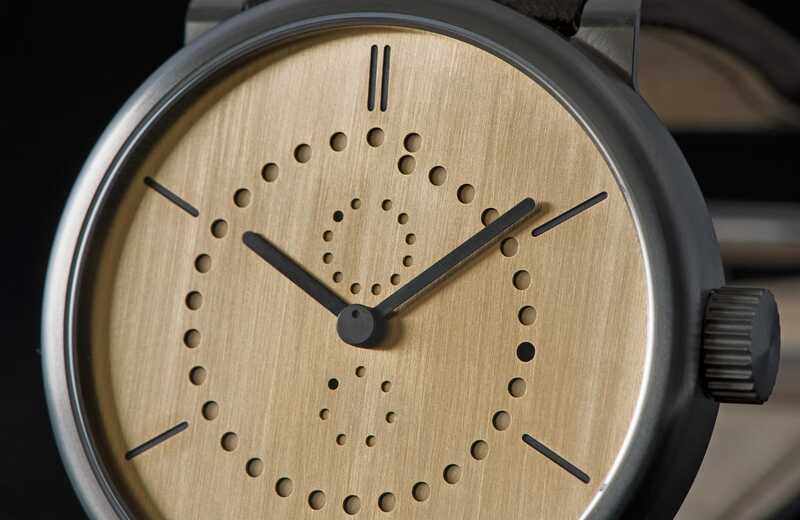 A tiny excentric dot is milled into the hand-patinated second disk to show the watch is running and preserve the harmonious balance of the dial. 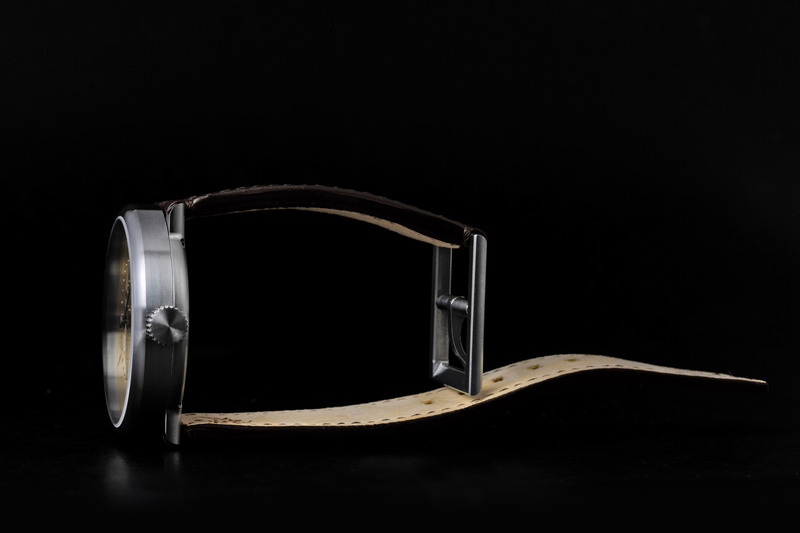 Ludwig Oechslin developed this single metal dial solution so that he could control the entire process of making ochs und junior prototypes in his workshop in La Chaux-de-Fonds. Every ochs und junior annual calendar brass is a unique piece due to natural differences in the hand-patination process.